This device protects your home against bad electricity which can damage your electronics at home. Bad net conditions like blackouts, under voltage, fast on/off switching occur through out the year but specially in the rain season. The net guard protects you from damage to computers audio video equipment, refrigerators, and create a stable reliable network for your Smart home. In combination with a backup it guaranties you 24×7, 365 days/year electricity. 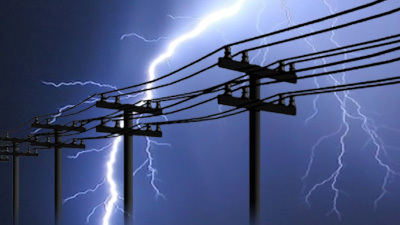 Electricity backup systems protect against electricity network failures. Is is for houses and small offices. A backup give your light in the house, Maintains your internet connection, allow you to watch television and more. The system exists out of two components the net monitor a small computer and a contractor switch. This switch is activated when the monitor detect a bad net condition. Ones activated it dis-connects a house from the electricity grid in case of a blackout or other condition. Measurements: On customer specifications additional measurements can be implemented. Display: LCD, 4x 20 characters. Both controller and switch are installed in a central DIN rail based electricity power panel.